I set an apple on a table, look at it, and begin to paint. Apples have been looked at, and painted, thousands of times. 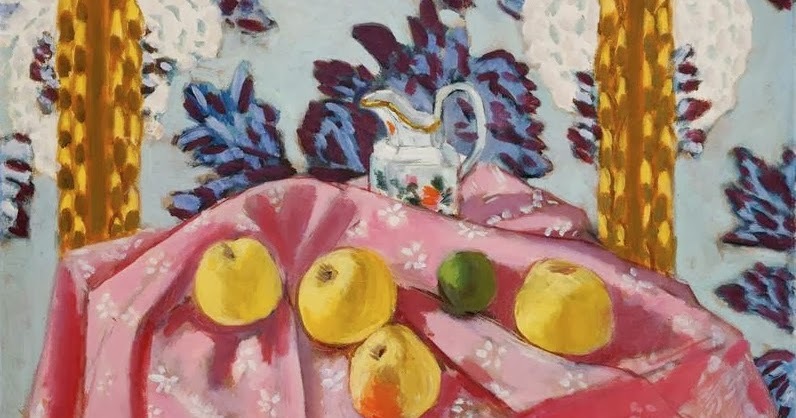 Museums, art books, and the internet are full of other people's paintings of apples. How do I bring something new to a subject that's been around since the Garden of Eden? How do I see this apple, sitting on this table, with fresh eyes? Here's what I've discovered. When I look with fresh eyes, I give up expectations. I give up all motives other than trying to understand the form of one specific apple, and the shape this one painting will take. I don't worry about how my painting compares to the last one I finished, or other paintings of apples I've seen. I'm only looking at this one unique apple, sitting on this one table, in the light of this one unrepeatable morning. If I'm painting with fresh eyes, I'm not thinking of someone else's "idea" of an apple, or even my own. I'm engaged with what's right in front of me: the color turning in tiny increments from red to green; how the stem meets the apples curving top; a highlight's bluish tint; that dark shape behind the apple that defines its edge. The apple sits there in all its individuality, all its "is-ness". When you paint from observation, the subject moves towards you, and you move towards the subject. My job is to meet the apple somewhere in the middle of our two realities. My work is to stay with my sensations of the apple's form and colors, of its relationship to the space that surrounds it, and out of those observations, build a painting. When we begin a painting, there's no way of knowing exactly where we'll end up. And that's a good thing. To quote Picasso, "You never know what you will do. You start a painting and it becomes something else entirely." If you were already at your destination, what would be the point of the journey? If I'm not happy with where I've arrived, I can always scrape the paint off my canvas, and with fresh eyes, begin again.